Conducted by Christopher Hogwood, The Academy of Ancient Music performs Wolfgang Amadeus Mozart’s Symphony No. 7 in D major, K. 45. 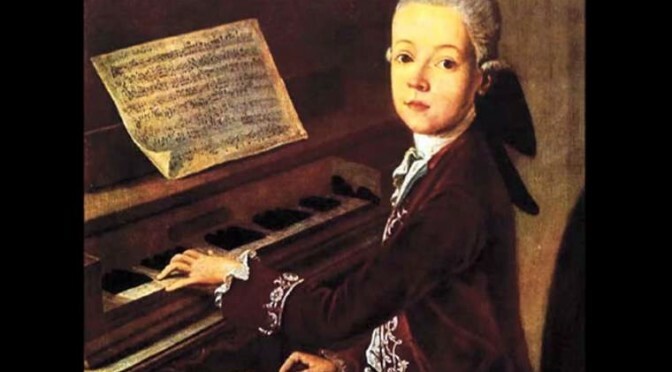 The symphony was completed in Vienna in January 1768 after the family’s return from a visit to Olomouc and Brno in Moravia, when Mozart was 12 year old. The symphony was reworked to become the overture to Mozart’s opera, La finta semplice, K. 51, composed and performed later that year, and the overture itself was subsequently adapted further to create a new symphony, known in the Köchel 1964 (K6) catalogue as K. 46a. For the original (K. 45) version the instrumentation was: strings, 2 oboes, 2 horns, 2 trumpets, timpani, bassoon, continuo. For the symphonic overture (K. 46a) version the trumpets were replaced with flutes, an extra bassoon was added, and the timpani were excised. Christopher Jarvis Haley Hogwood CBE (10 September 1941 – 24 September 2014) was an English conductor, harpsichordist, writer, and musicologist. Founder of the early music ensemble the Academy of Ancient Music, he was an authority on historically informed performance and a leading figure in the early music revival of the late 20th century. The Academy of Ancient Music (AAM) is a period-instrument orchestra based in Cambridge, England. Founded by harpsichordist Christopher Hogwood in 1973, it was named after a previous organisation of the same name of the 18th century. The musicians play on either original instruments or modern copies of instruments from the period of time the music was composed. They generally play Baroque and Classical music, though they have also played some new compositions for baroque orchestra in recent years. The Academy’s current Music Director is Richard Egarr (as of 2015 July), a British keyboard performer, on the harpsichord, fortepiano and modern piano, and conductor.